Within libertarian communist circles, there is agreement on the necessity of a commons of some form. However, actual decision making rules and rudders of the commons are not thoroughly discussed. This leaves our commons without a rudder. Directly Democratic assemblies are not just a rudder for a commons, but that which has the ability to bring the commons into existence. Common owned property allows for communities to directly manage their own affairs. Worker control over means of production is often over emphasized within the left. Worker ownership of the means of production can be compared and contrasted to community ownership over the means of production. The proletariat should have self management rather than rule over the economy. In fact, people should be liberated from toil through automation. Non-authoritarian collective property should exist, but not at the expense of common property. To do nothing more than put workers in charge of workforces is to leave us with an economy but not a polity. Anarchists who are critiqued as “economic reductionists” are often critiqued as such due to their analysis of what is, but a critique of economic reductionists should also encompass what economic reductionists think ought to be. We do not want the community controlled by workers but by commoners. If we are going to have a commons we need a decision-making process and body. This should not be in the hands of private/state and even worker control. All of which would centralize decision-making power to various degrees. Worker control over the community is far less centralized than state and private ownership, but centralized nonetheless when compared to the alternative of municipalized economies. Constitutional Direct Democracy would prohibit rulership, find out what people’s preferences are, dialogue about various preferences, find compatibilities and incompatibilities between preferences, and resolve incompatibilities by a majority decision that leaves people free to disagree/stay in the association yet not partake in that decision/move uninhibited by hierarchical relations, protest, debate the issue, and re-appeal. We are not all going to agree on every decision everyone makes anytime anyone makes any decision about anything on a sub-municipal/municipal/confederal level. The question then becomes how we resolve such disagreements. A non hierarchical constitution will ensure that the disagreements that happen are not based on questions of rulership, but questions of different options for managing common pool resources and cities. The process of creating and maintaining a commons will require a policy making body of some form that is capable of existing with disagreements, while remaining non hierarchical. The face to face relations will create a community setting where we can be accountable for our decisions, collaborative, and potentially foster communion within the community that allows for a reduction in authoritarian relations of any kind. The idea that we will have a commons before we have community institutions is rather foolish, and if we leave the community institutions as a project for after the commons already exists, the commons will not be claimed in the first place. There are a few regressive tends that remain dominant within anarchism. There is the anti organizational tendency, which often is not merely against organization when it comes to means, but can also be against organization when it comes to ends. There is economic reductionist and non-political variety of organization, which is for organization, but in the economic sphere. There is also activism that is based on procedural unanimity at the expense of the principles of direct democracy. One of the contradictions that I have seen within people is a “pro-commons” yet anti organizational tendency. These people advocate a lawless commons. In rebellion against hierarchical institutions, they have rebelled against institutions full stop. According to these anarchists, hierarchy arises from organization, making organization closer to the root problem than hierarchy itself in their eyes. In this sense they are anti organization more so than they are against hierarchy. Other people are for some kind of organization just “after the revolution”. In this sense, they are against the very institutional forms that could create the revolution until after the revolution. Revolutions will not come through mere periodic and informal actions and organizations. If people are going to be in favor of common-pool-resources, then they ought to be for some kind of rudder. Or they can drift off into anarchism without a commons, an amorphous blob without the conditions and relationships required for freedom. Or people can drift off into a procedural unanimity, where the solution to disagreements is to make sure disagreements do not happen. Or we can drift off into the workerism and economic reductionism that many anarchists have rightfully tried so hard to escape from. Unfortunately, the way many have tried to escape from economic reductionism is through various degrees of anti rational solutions. Let me stress that the commons cannot be static nor brief and periodic; It must be maintained, it must develop in a liberatory direction, it must be steered. To give up on institutions is to give up on the commons and by extension the dream of a libertarian communist society. The commons does not develop rationally without decision making bodies and without decision making processes. Purely informal organizational and non organizational means for formal organizational ends are insufficient. The idea that a commons will exist in anything but a primordial form before community assemblies exist puts the “cart before the horse” as we strive towards a better society. Periodic community based activism and community technology projects can serve as “gateway drugs” to a community assembly and a commons. However, a “primordial commons” and a “primordial community assembly” created through such means will not become a vessel for societal change until these practices are institutionalized. Periodic direct action should not be confused with institutionalized direct action despite important relations between the two and similarities. Common property ought to be based on use. Rather than a form of ownership of that which a community does not use, common property ought to be bounded by usufruct. If we overcome private property and state property only to have a common/collective/personal property system divorced from use, we have not actually solved the problem of ownership at the expense of usufruct, merely minimized it. Ownership at the expense of usufruct can lead to ecological disaster. The process of maintaining a commons becomes a means towards post-scarcity. Knowledge shares, skill shares, tool shares, community programs to create a guaranteed minimum, and municipalized production and distribution allow communities to become more resilient in the present as people aim towards a larger project. We do not need to wait until after the revolution to begin the very process that is capable of leading to a revolution. The Venus Project and The Zeitgeist Movement have put together some useful information about economics. However, the movement falls short on its ends and means. This is in part due to a lack of political vision of an RBE, which is reflected in the lack of political practice put forward by TVP/TZM. Before I begin the critique I would like to mention a few things to ground my critique in a charitable and honest frame: TVP/TZM have some important economic, technological, and behavioral insights that most people into socioeconomic systems can learn from. TVP/TZM is strictly educational. Many people critique TVP/TZM for being purely educational rather than the education they provide. I think both critiques are valid. TVP/TZM doesn’t even have a broad idea of how to create the new society in the shell of the old, however it is clear there is a desire to do this within both organizations. TVP/TZM focus on ends rather than means. It is when means and ends meet in harmony that we are able to actually achieve desired ends. I have been active in TZM for many years up until recently. I have met a lot of good people within TZM, and think it does a lot of good things education wise. But aspects of the vision of an RBE are flawed, and the “educational reductionism” of TVP/TZM is flawed. I want to critique the “train of thought” (RBE), and the practice of TZM/TVP. These critiques will be separate yet interconnected, for practice and theory are intertwined. When RBE advocates say they are antipolitical or apolitical you should believe them. They do not advocate for any political structure. In fact they both rely on the economic reductionism that is throughout Marxist analysis. The economic foundationalism (rather than a foundherentism of politics/economics) is throughout the entire analysis. It does not just reject the state, it rejects politics. The decision making process for when there are incompatible preferences has been missing from TZM before and after Peter’s economic calculation lecture. The delegation of power towards engineers and specialists doesnt even have a political assembly that can delegate such a council, which is in part why people often assume engineers/specialists would control such a society. Given the lack of politics in an RBE’s prescriptions, we are left with vague decision making processes. And no Peter’s lecture does not solve this issue at all. It showed multi hours of avoiding the question of political decision making processes. RBEs are economies without polities. There is an inconsistency with the prescription of “no laws” + outlawing the market and the state. This is a “meta-political law” against political laws except itself. We must separate hierarchical “politics”(statecraft) from non hierarchical politics. They are incompatible and antithetical to one another. TVP/TZM members and anti political anarchists often conflate statecraft with politics, and in doing so conflate the non hierarchical management of the city by the citizens to hierarchical management of the city by some form of rulership. Jacque Fresco has often advocated for “no laws” and says that laws do not solve social problems. Jacque is on to something in the sense that no law in and of itself ensures the preconditions for that law to be followed. However, this is not why we need no laws, but a plurality of laws that harmonize to create conditions of freedom. Laws such as “no markets, no states, no revenge” are only successful to the degree that the preconditions needed for them are allowed to flourish. This is not a reason to give up on law, but to embrace the concept of laws and find out what laws make sense for a non hierarchical society. We need laws to bind our political decisions so that conditions of freedom are generated, maintained, and made more resilient. The theory of law and political decisions are absent throughout the theory of an RBE. To be fair, A “Resource Based Economy” is just that: An economy. There needs to be a polity, political decision making processes, and political laws that come into unity with a post scarcity economy rather than an economy in a vacuum. Not every decision is purely quantitative. Not every decision is purely economic. Decision making can be assisted by experts in relevant fields and computers rather than taken over by them. Optimum technology and placement of technology for various metrics should be available to people making decisions. Also, there are different desirable metrics, and we are going to need to choose between them sometimes as much as we might desire every single one of them to be made as optimal as possible. Majority preference within free associations allows us to solve disagreements in a way that doesn’t allow everyone to have the equal right to be dictator over every decision being made, and in a way that makes it so power flows from the bottom upwards, rather than from the top downwards. The qualitative freedom created by non hierarchical constitutional direct democracy is more important than vague concepts of “maximized efficiency” (as important as technical efficiency and “resource efficiency” is) considering such an end is even attainable. Policy decisions should be in the hands of the people, and since many RBE advocates think so as well, these concepts should not be considered incompatible with their desired ends. Constitutional direct democracy, far from the mere “least bad” way to organize, is a realm of freedom. It allows people to make decisions over their lives and their city bounded by certain rights and obligations without rulers. It is a realm of deliberation, education, consociation, and community. It is also developmental in the sense that it doesnt call for some magical end to political disagreements. It calls for an ongoing political process that doesnt have a final ending. Due to a lack of directly democratic political theory, TVP/TZM lacked a directly democratic structure. It had a structure of volunteer work, and the equivalent of a confederal council of admins. The confederal councils were not appropriately delegated from the bottom up. To this day there is no directly democratic body to delegate such power. Policy decisions are not made at the lowest levels within a platform(or agreed upon principles), instead there is nothing but a platform, volunteer work, DIY projects, and a confederal council. TZM/TVP focus on educational tactics. Many people will critique education in and of itself as a tactic rather than the content of TVP/TZM’s education (critique of the actual theory rather than the theory of spreading theory). Many people in “radical” communities will be against education. I have had many post rational anarchists tell me how “theory is not radical” regardless of the content of the theory. I find this to be an error in their thinking through creating a false dichotomy between theory and practice. However, if there is nothing but educational projects without any political process for both means and ends, then there are no material changes directly part of the organization. The only material changes will be indirect through inspiration. TVP/TZM rely on an educational reductionism. The content they put out, outside of the lack of political systems, is useful. Information on human cognition/behavior, flaws of markets/states, the alternative of a post scarcity economy are all sound ideas. A post-scarcity group should be a dual power (or strive to create a dual power) created to decenter power while meeting needs, and building the very institutions that can exist during and after a transition from hierarchical to non hierarchical systems. This process would be demonstrative and educational for those involved and those not involved. Even if TVP/TZM would have failed at creating a directly democratic structure within communities, they could have at least created a microcosm of what a directly democratic structure would look like within the movement (and they could have helped be educational platforms for spreading such constitutional directly democratic politics). Kuhn and Popper have revolutionized our understanding of science. Both of their work shows how our observations are theory laden. Our metrics for what qualifies as evidence are theory laden. And our understanding of our observations being theory laden adds to our theory. This helps us to know both how we gain knowledge, and what the limits of knowledge are. Observation is not the only thing that is theory laden. Our practice is theory laden. The actions we do or do not do are informed by our theory. This understanding has profound implications for the importance of theory in circles seeking social change. Sometimes theory and practice are seen as opposed within circles seeking social change. 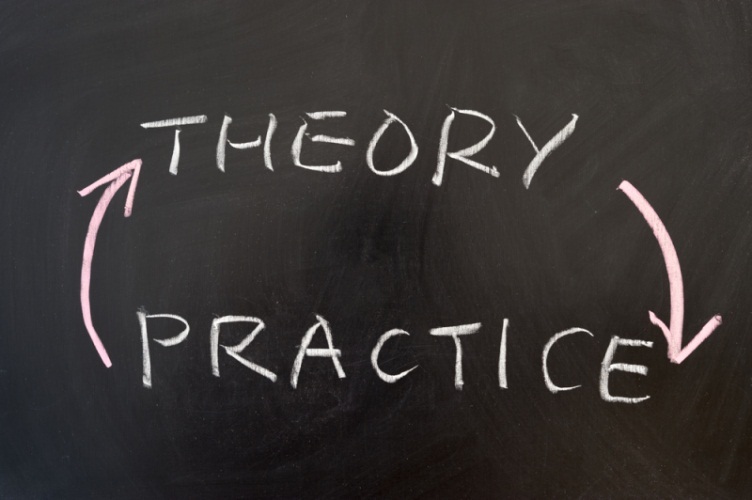 Some people lean heavily towards one or the other, and by extension are missing practice that can help their theory, and theory that can help their practice. Perhaps the reason some tactics are ineffective is because our theory that informs what tactics we should and shouldn’t use is wrong. Theory doesn’t just inform us about what we should do, but where we want to go. Through understanding the limits of knowledge and the fact that we can almost always get closer approximations to the truth (and by extension better tactics for achieving desired ends, and better desired ends), we should realize that theory plays an important role. Frameworks for viewing human cognition, behavior, relationships, systems, and development are extremely important for anyone concerned about changing human cognition, behavior, relationships and systems. The relationship is symbiotic, our practice (and observation of our practice) is informed by our theory and our theory is informed by our practice (and our observation of our practice). To ignore the dialogue between theory and practice, is to lessen our understanding of both. 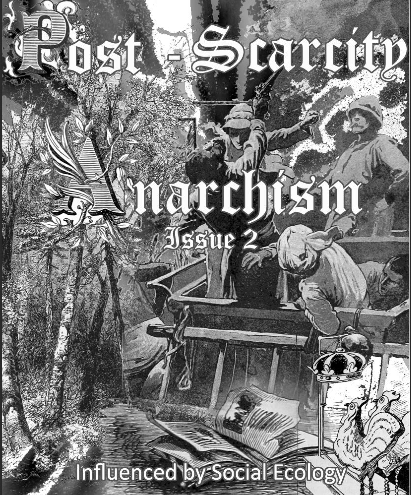 The book “Post Scarcity Anarchism” by Murray Bookchin outlines an adaptation of anarchism to a new technological context. It has been over four decades since the essay “towards liberatory technology” was written, meaning our potential for liberatory technology is far greater than it was when he wrote that essay in 1968. Bookchin’s train of thought can be summed up by gift/need/ability based Decentralism/Confederalism with participatory democratic processes within rules prohibiting authoritarianism, social ecology, liberatory technology, and the means and ends of libertarian municipalism. Social ecology is a framework for viewing human and ecological relationships that describes a dialogue between societies and ecosystems (or as Bookchin called them ecocommunities). Social ecology proposes the notion that our ecological problems are social problems in disguise. As Bookchin said “What literally defines social ecology as “social” is its recognition of the often overlooked fact that nearly all our present ecological problems arise from deep-seated social problems. Conversely, present ecological problems cannot be clearly understood, much less resolved, without resolutely dealing with problems within society”. By changing how we relate to each other, we can change how we relate to our environment. Market principles use profit as a mechanism to ration finite resources. Market principles will help the ecosystem to the degree that helping the ecosystem will maximize profit, and they will harm the ecosystem to the degree that harming the ecosystem maximizes profit. This translates to the transformation of life into non life to the degree that it maximizes profit and centralizes power. The market creates an economic hierarchy. The best way to maximize profit is through authoritarian relations(privately owning the means of production and using the state as a mechanism to maximize profit and enforce the private ownership of that which others use). A huge source of ecological problems is also ignorance(of available technology, available resources, and our interdependence to each other and our ecosystems, of alternative social systems, etc). Ignorance may never disappear, but we can certainly minimize ignorance in regards to certain areas of knowledge(and by extension minimize harm done to each other and to our environment). Our ecocommunities shape our relationships to each other, and our relations to eachother shape our ecocommunities, which then shapes our relations to each other and so on and so forth in a seemingly never-ending dialogue between society and the environment(similar to the dialogue between individuals and collectives). This framework for viewing the human and ecological problems, leads to the conclusion that we need non authoritarian social forms(or forms of freedom) in order to care for the wellbeing of humans and the ecosystems we are dependent upon. The market and the state turn the organic into the non organic to the extent that power is centralized and profit is maximized. This inevitably has ecocidal consequences. To get rid of ecocide, we must get rid of the market, the state, patriarchy, white supremacy, and all forms of hierarchy, and minimize behavioral authoritarianism. Anarcho communism advocates using decentralization of power as a mechanism to create a stateless/classless/moneyless society without authoritarian systems nor behaviors. In such a system, resources would be distributed according to abilities and needs. Anarcho communists advocate personal property, anti authoritarian collective property, and common property as well as gift(from individual to collective, collective to individual, individual to individual, and collective to collective) as a mechanism for distributing resources. Anarcho communism provides us with an excellent analysis of the forms that we should NOT have, and aspects of the forms that we should have. Even if we had the most free forms possible, the content within such forms can theoretically be antithetical to the aims of anarcho communism. The content we ought have should to be based on liberatory technology in the aims of achieving a post scarcity society. The form of institutions that Bookchin advocated were municipal assemblies based on participatory democracy within free associations(freedom of/from and within associations checked and balanced by freedom of/from/and within associations of others). Individuals would retain rights to leave associations(without harming free association of others), and stay within an association while disagreeing and opting out of participating in that which they disagree with. Bookchin did not think we could magically abolish power. Instead, Bookchin advocated decentralization of decision making power and confederations, which are associations of free associations. 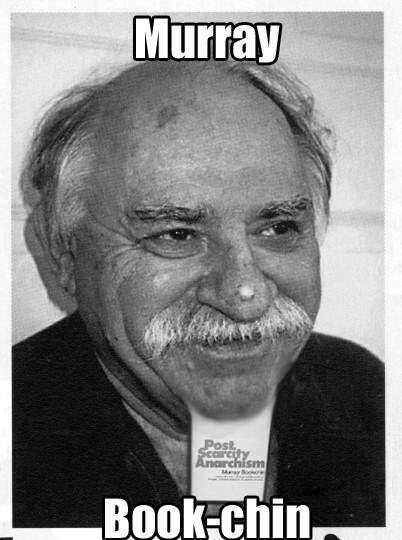 Bookchin was for governance without statecraft. “Confederalism is…a way of perpetuating the interdependence that should exist among communities and regions — indeed, it is a way of democratizing that interdependence without surrendering the principle of local control.” – Bookchin. Decentralization of decision making power was necessary but not sufficient for Bookchin. For many associations to associate without authoritarian relations, confederalism needs to be implemented. Bookchin called his views towards the end of his life communalism. Bookchin said “As an ideology, Communalism draws on the best of the older Left ideologies—Marxism and anarchism, more properly the libertarian socialist tradition—while offering a wider and more relevant scope for our time. From Marxism, it draws the basic project of formulating a rationally systematic and coherent socialism that integrates philosophy, history, economics, and politics. Avowedly dialectical, it attempts to infuse theory with practice. 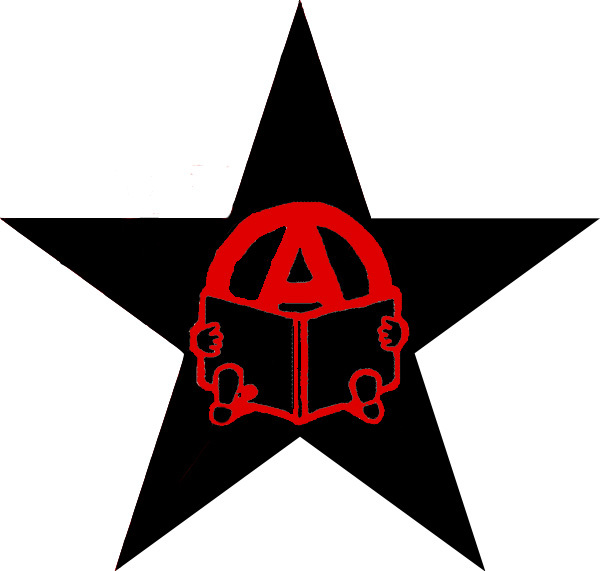 From anarchism, it draws its commitment to antistatism and confederalism, as well as its recognition that hierarchy is a basic problem that can be overcome only by a libertarian socialist society.” Bookchin felt even anarcho communism, in describing that it was against the state and for communism, did not fully express what kinds of organization/rules/institutions would exist. Bookchin realized towards the end of his life that anarchism, although defining what it was AGAINST(private property and the state and in its more mature forms hierarchy in any form), did not sufficiently state what it was FOR. For Bookchin, even anarcho communists were too vague in regards to the forms of freedom they advocated for. Bookchin was insistent upon participatory democracy as a mechanism during and after we transition to a society without states and markets. Bookchin advocated a democracy that is direct, inclusive, and based equality of decision making power. Bookchin advocated for a constitution with non hierarchical obligations and rights, and deliberative participatory democracy within the limits of the constitution. Bookchin advocated majority preference within a set of rules that prohibit hierarchical and authoritarian relations. Bookchin also advocated for the rights of minority preferences to dissent and do what they want within the rules of society. In this sense majority and minority preferences would be respected, the individual and society harmonizing as much as possible due to these boundaries, creating social freedom. When different preferences are compatible they can all occur, and when there is an incompatibility between various preferences, the majority decides. The content of liberatory technology and reason minimizes such incompatibilities between various preferences. Liberatory technology is the art of applied science with an empathetic/anti authoritarian ethic. Liberatory technology is technology used in an ethical way to maximize wellbeing of all. Logic without compassion can lead to more efficient ways to perform slavery, war, and genocide. Compassion without logic can lead to people supporting the market and the state by being ignorant of what they support. Logic is necessary but insufficient for maximizing the wellbeing of all. Compassion is necessary but insufficient for maximizing the wellbeing of all. 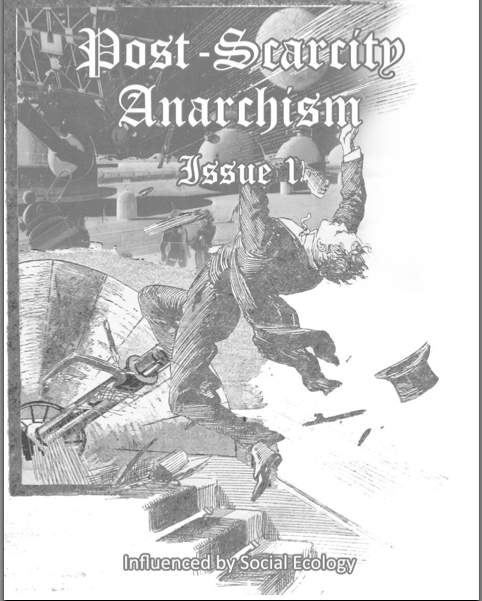 The chapter “Towards a Liberatory Technology” is one of the most important 20th century anarchist essays as far as ideals are concerned. Bookchin adapts the dreams and aspirations of anarchism to a post 1960’s technological context. This technological context includes the automation of labor, geothermal/solar/wind/wave/tidal energy, thousands of resources through hemp(including plastics, paper, and much more), aeroponic gardening, vertical gardening, permaculture, rain water collection and purification systems, etc etc etc. However, Bookchin is not a technophile(nor a technophobe). Bookchin recognizes the capabilities for authoritarian and liberatory technology(and by extension how we can be in harmony with the global ecosystem and how we can destroy it). If Bookchin was a pure technophile(like some of his critics claim he was) there would have been no need to add the term liberatory to technology(for it would be superfluous). Liberatory technology implies reason guided by an empathetic/anti authoritarian rudder. “Necessary” Liberatory Technology is the liberatory technology necessary to maintain the forms of freedom. The Surplus Liberatory Technology is Liberatory technology that isn’t necessary for anti authoritarian social relations, but is desirable for greater wellbeing of all and the environment we are dependent upon. Reason being used for the wellbeing of all (or liberatory reason) is the desired content for liberatory forms. The forms of freedom give people a lot of power over their own lives, and it is important to use this responsibly. A free decision making process does not necessitate decisions that lead to freedom. The framework of social ecology and the content of liberatory technologyand reason make the forms of freedom more resillent. Form and content, although distinct, are interconnected. Different forms are more conducive to liberatory content. However, as Bookchin points out, the most liberatory form can bring about authoritarian content(although liberatory forms do minimize such authoritarian content compared to authoritarian forms). This can happen through lack of logic and/or lack of compassion. This is why liberatory forms are necessary but insufficient in regards to bringing about the end goals that they aspire towards. Education is more than essential, not just for why to have an anti authoritarian society, and how to get to an anti authoritarian society, but also for after such a society exists. Such education is necessary to provide liberatory content in order to maintain the forms of freedom and contribute to the wellbeing of all. More accurate frameworks of how we view the relationships of humans to the environment are essential to help arrive at such form and content, and also to nurture such form and content(both so the form and content can become more liberatory, and also to prevent such liberatory forms from perverting into authoritarian forms). 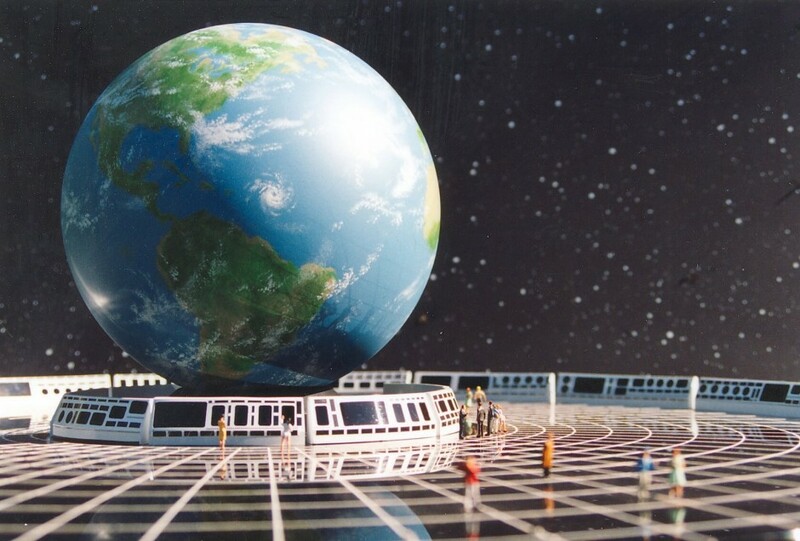 With the content of liberatory technology and reason, the form of libertarian municipalism, as well as a framework of social ecology, a post scarcity society could exist and maintain itself. The content is in dialogue with the form. The form effects the content, and the content effects the form. Ignorant content within a society based on freedom can lead to artificial scarcity and the transformation from freedom into a hierarchical society. Anarchism as a form is not in and of itself sufficient. We must look beyond anarchism into the field of liberatory technology and reason(empathetic applied logic) during and after the transformation of society from authoritarian to anti authoritarian. The more we understand society and ecology, the more we understand the relationships between humans and humans and humans and ecosystems. In order to understand human cognition/behavior, I think we ought to look at the biopsychosocialecotechnological model of human behavior, which sees biology, our psyches, social systems and behaviors, ecocommunities, and technology in a dialogue, each component directly and indirectly interdependent upon one another in shaping who we are. Through greater knowledge of human cognition and behavior(nature/nurture), we will arrive at better techniques to change our relations to each other and to the environment we are dependent upon in desirable ways. If our viewpoints of the world don’t recognize our interdependence upon each other and our environment, we can arrive at violent decisions through ignorance alone. Libertarian municipalism is a tactic and end goal invented by Murray Bookchin. It has a holistic full community analysis. Libertarian municipalism has different end goals and different tactics than traditional community organizing. Municipalism is a way of institutionalizing non hierarchical, constitutional, confederated, directly democratic forms of freedom through the means and ends of community assemblies. Like anarcho syndicalism, libertarian municipalism is an approach that 1. meets humans needs in the present 2. decentralizes power from hierarchical institutions 3. aims at showing a different way people can organize(building the new world within the shell of the old) during and after a transition to a stateless/marketless society. At a time where labor has little power (due to technological unemployment), it is essential that we find new ways to build the new world within the shell of the old. The democratic assemblies would bring people together organizing without rulers(showing a new way people can organize), meet people’s immediate needs within the communities, and take faith and power away from the state and the market. It is essential that these the assemblies created through libertarian municipalism are made out of the general community and not only the activist community. This must be a movement of commoners, by commoners, and for commoners. Anti authoritarian activists are essential catalysts for such organization(in regards to education), but municipalism must extend to community members to be effective at building the new world in the shell of the old. Municipal assembles can cooperate with worker and community owned co-ops and form a worker/community union. In a mutually beneficial association, worker and community owned co-ops and municipal assemblies can support one another. This third sector, the community sector, would then live alongside the market and the state, while confronting the market and the state and expropriating private and state property. The community sector would protect the people during and after the transition to a liberatory society. If municipal assembles do not confederate with other municipal assemblies, then they merely serves as mechanisms to make communities more free. However, if there are many municipal assemblies that confederate, it becomes a strategy for abolishing socioeconomic hierarchy that contains within it the forms of freedom that can be implemented after socioeconomic hierarchy has been abolished. Libertarian municipalism can organize all forms of commoners (from workers, to the youth, to the elderly, and to the unemployed, and beyond). People ought to organize on behalf of common humanity and care for others rather than purely selfish reasons. These organizations can pool together resources from those willing and able to give towards community projects(such as fighting against landlordism and building community gardens out of the unused land throughout the neighborhoods, and setting up skill shares and free freedom schools and tool libraries, etc). The forms of organization will be organic, for outside of the market and the state people already organize in participatory ways amongst friends. It is just a matter of carrying this participatory organization into a more formal setting and uniting underneath non hierarchical principles. Without the inefficiency of bureaucracy, and with mutual aid from individuals and confederated municipalities, these organizations would be able to do a lot with a little. There needs to be a holistic outlook on the wellbeing of all of humanity, and by extension the ecosystem we are dependent upon. This could unite people across classes/cultures to create a better world for all (meaning doing the most to help well being of all as possible with the limited resources at our disposal). To achieve the end goal of is a dynamic confederated society based on participatory democracy, libertarian municipalism proposes a process of decentralizing power and confederating associations that use participatory democracy. Bookchin makes very accurate critiques of market socialism(as well as worker owned co-ops within a market context). In visions of a new society, Bookchin points out that worker owned co-ops will often become profit seeking and assimilate into capitalism, or perish. “Libertarian municipalism proposes a radically different form of economy one that is neither nationalized nor collectivized according to syndicalist precepts. It proposes that land and enterprises be placed increasingly in the custody of the community more precisely, the custody of citizens in free assemblies and their deputies in confederal councils. How work should be planned, what technologies should be used, how goods should be distributed are questions that can only be resolved in practice. The maxim “from each according to his or her ability, to each according to his or her needs” would seem a bedrock guide for an economically rational society, provided to be sure that goods are of the highest durability and quality, that needs are guided by rational and ecological standards, and that the ancient notions of limit and balance replace the bourgeois marketplace imperative of “grow or die.”” -Bookchin. Bookchin is advocating communalization of property as opposed to collectivization that syndicalism advocates. 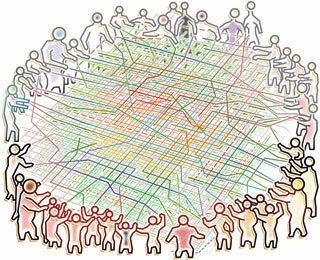 Non-authoritarian collective property would exist within the framework and within the limits of the rules of the commons. Libertarian Municiplism allows, “means and ends meet in a rational unity”, where “The word politics…expresses direct popular control of society by its citizens through achieving and sustaining a true democracy in municipal assemblies — this, as distinguished from republican systems of representation that preempt the right of the citizen to formulate community and regional policies. Such politics is radically distinct from statecraft and the state a professional body composed of bureaucrats, police, military, legislators, and the like, that exists as a coercive apparatus, clearly distinct from and above the people,”. Before/during/after the fall of states and markets, there needs to be institutions that institutionalize the forms of freedom so we don’t fall into the tyranny of structurelessness and/or the lowest common denominator. For this to happen we need to be 1. educated in regards to logic 2. empathetic in regards to emotions 3. willing and able to do the initial work to get an anti authoritarian economy off the ground 4. educated in regards to the forms of freedom, the content of freedom, and the framework of freedom (participatory democracy, liberatory technology and reason, and social ecology). The confederated municipal councils will build the new world within the shell of the old. Many Anarchists and thinkers in general, whilst recognising the immense advantages which Communism may offer to society, yet consider this form of social organisation a danger to the liberty and free development of the individual. This danger is also recognised by many Communists, and, taken as a whole, the question is merged in that other vast problem which our century has laid bare to its fullest extent: the relation of the individual to society. The importance of this question need hardly be insisted upon. The problem became obscured in various ways. When speaking of Communism, most people think of the more or less Christian and monastic and always authoritarian Communism advocated in the first half of this century and practised in certain communities. These communities took the family as a model and tried to constitute “the great Communist family” to “reform man”. To this end, in addition to working in common, they imposed the living closely together like a family, as well as the isolation or separation of the colony from present civilisation. This amounted to nothing less than the total interference of all “brothers” and “sisters” with the entire private life of each member. Does Communism necessarily lessen individuality? In other words, the Individual in a Communist society. An immense movement of ideas took place during this century under the name of Socialism in general, beginning with Babeuf, St. Simon, Fourier, Robert Owen and Proudhon who formulated the predominating currents of Socialism, and continued by their numerous successors (French) Considerant, Pierre Lerous, Louis Blanc; (German) Marx, Engels; (Russian) Chernychevski, Bakunin; etc, who worked either at popularising the ideas of the founders of modern Socialism or at establishing them on a scientific basis. The emancipation of the individual and of society from the political machinery, the State, which helps to maintain economic slavery. On these three points all are agreed, and even those who advocate “labour notes” or who, like Brousse, wish all “to be functionaries,” that is employees of the State or the commune, admit that if they advocate either of these proposals it is only because they do not see an immediate possibility for Communism. They accept this compromise as an expedient, but their aim always remains Communism. And, as to the State, even the bitterest partisans of the State, of authority, even of dictatorship, recognise that with the disappearance of the classes of today the State will also cease to exist. Hence we may say without exaggerating the importance of our section of the Socialist movement – the Anarchist section – that in spite of all differences between the various sections of Socialism (which differences are, before all, based upon the more or less revolutionary character of the means of action of each section), we may affirm that all sections, by the voice of their thinkers, recognise the evolution towards Free Communism as the aim of Socialist evolution. All the rest, as they themselves confess, are only stepping-stones towards this end. It would be idle to discuss these stepping-stones without an examination of the tendencies of development of modern society. These divisions represent four degrees of exploitation and are but the result of bourgeois organisation. In a society of equals, where all can learn a trade and where the exploitation of woman by man, of the peasant by the manufacturer, will cease, these classes will disappear. But, even today, wages within each of these classes tend to become more equal. This led to the statement: “that a navvy’s day’s work is worth that of a jeweller”, and made Robert Owen conceive his “labour notes”, paid to all who worked so many hours in the production of necessary commodities. But if we look back on all attempts made in this direction, we find that with the exception of a few thousand farmers in the United States, labour notes have not spread since the end of the first quarter of the century when Owen tried to issue them. The reasons for this have been discussed elsewhere (see the chapter: The Wage System, in my book “The Conquest of Bread”). On the other hand, we see a great number of attempts at partial socialisation, tending in the direction of Communism. Hundreds of Communist communities have been founded during this century almost everywhere and at this very moment we are aware of more than a hundred of them, all being more or less Communistic. It is in the same direction of Communism – partial Communism, we mean to say – that nearly all the numerous attempts at socialisation we see in bourgeois society tend to be made, either between individuals or with regard to the socialisation of municipal matters. Hotels, steamers, boarding houses, are all experiments in this direction undertaken by the bourgeois. For so much per day you have the choice between ten or fifty dishes placed at your disposal at the hotel or on the steamer, with nobody controlling the amount you have eaten of them. This organisation is even international and before leaving Paris or London you may buy bons (coupons for 10 francs a day) which enable you to stay at will in hundreds of hotels in France, Germany, Switzerland, etc., all belonging to an international society of hotels. The bourgeois thoroughly understood the advantages of partial Communism combined with the almost unlimited freedom of the individual in respect to consumption, and in all these institutions for a fixed price per month you will be lodged and fed, with the single exception of costly extras (wine, special apartments) which are charged separately. Fire, theft and accident insurance (especially in villages where equality of conditions permits the charge of an equal premium for all inhabitants), the arrangement by which great English stores will supply for 1s. per week all the fish which a small family may consume, clubs, the innumerable societies of insurance against sickness, etc., etc.. This mass of institutions, created during the 19th century, are an approach towards Communism with regard to part of our total consumption. Finally, there exists a vast series of municipal institutions – water, gas, electricity, workmen’s dwellings, trains with uniform fares, baths, washing houses, etc. – where similar attempts at socialising consumption are being made on an ever increasing scale. All this is certainly not yet Communism. Far from it. But the principle of these institutions contains a part of the principle of Communism: for so much per day (in money today, in labour tomorrow) you are entitled to satisfy – luxury excepted – this or the other of your wants. These forays into Communism differ from real Communism in many ways; and essentially in the two following;  payment in money instead of payment by labour;  the consumers have no voice in the administration of the business. If, however, the idea, the tendency of these institutions were well understood, it would not be difficult even today to start by private or public initiative a community carrying out the first principle mentioned. Let us suppose a territory of 500 hectares on which are built 200 cottages, each surrounded by a garden or an orchard of a quarter hectare. The management allows each family occupying a cottage, to choose out of fifty dishes per day what is desired, or it supplies bread, vegetables, meat, coffee as demanded for preparation at home. In return they demand either so much per annum in money or a certain number of hours of work given, at the consumers’ choice, to one of the departments of the establishment: agriculture, cattle raising, cooking, cleaning. This may be put in practice tomorrow if required, and we must wonder that such a farm/hotel/garden has not yet been founded by an enterprising hotel proprietor. It will be objected, no doubt, that it is just here, the introduction of labour in common, that Communists have generally experienced failure. Yet this objection cannot stand. The causes of failure have always to be sought elsewhere. Firstly, nearly all communities were founded by an almost religious wave of enthusiasm. People were asked to become “pioneers of humanity;” to submit to the dictates of a punctilious morality, to become quite regenerated by Communist life, to give all their time, hours of work and of leisure, to the community, to live entirely for the community. This meant acting simply like monks and to demand – without any necessity – men to be what they are not. It is only in quite recent days that communities have been founded by Anarchist working men without any such pretensions, for purely economic purposes – to free themselves from capitalist exploitation. The second mistake lay in the desire to manage the community after the model of a family, to make it “the great family” They lived all in the same house and were thus forced to continuously meet the same “brethren and sisters.” It is already difficult often for two real brothers to live together in the same house, and family life is not always harmonious; so it was a fundamental error to impose on all the “great family” instead of trying, on the contrary, to guarantee as much freedom and home life to each individual. Besides, a small community cannot live long; “brethren and sisters” forced to meet continuously, amid a scarcity of new impressions, end by detesting each other. And if two persons through becoming rivals or simply not liking each other are able by their disagreement to bring about the dissolution of a community, the prolonged life of such communities would be a strange thing, especially since all communities founded up to now have isolated themselves. It is a foregone conclusion that a close association of 10, 20, or 100 persons cannot last longer than three or four years. It would be even regrettable if it lasted longer, because this would only prove either that all were brought under the influence of a single individual or that all lost their individuality. Well, since it is certain that in three, four or five years part of the members of a community would wish to leave, there ought to exist at least a dozen or more federated communities in order that those who, for one reason or other, wish to leave a community may enter another community, being replaced by new comers from other places. Otherwise, the Communist beehive must necessarily perish or (which nearly always happens) fall into the hands of one individual – generally the most cunning of the “brethren”. We need not add that governments of all descriptions have always been the most serious stumbling blocks for all communities. Those which have seen least of this or none at all (like Young Icaria) succeed best. This is easily understood Political hatred is one of the most violent in character. We can live in the same town with our political adversaries if we are not forced to see them every moment. But how is life possible in a small community where we meet each other at every turn. Political dissent enters the study, the workshop, the place of rest, and life becomes impossible. On the other hand, it has been proved to conviction that work in common, Communist production, succeeds marvellously. In no commercial enterprise has so much value been added to land by labor as in each of the communities founded in America and in Europe. Faults of calculation may occur everywhere as they occur in all capitalist undertakings, but since it is known that during the first five years after their institution four out of every commercial undertakings become bankrupt, it must be admitted that nothing similar or even coming near to this has occurred in Communist communities. So, when the bourgeois press, wanting to be ingenious, speaks of offering an island to Anarchists on which to establish their community, relying on our experience we are ready to accept this proposal, provided only that this island be, for instance, the Isle de France (Paris) and that upon the valuation of the social wealth we receive our share of it. Only, since we know that neither Paris nor our share of social wealth will be given to us, we shall some day take one and the other ourselves by means of the Social Revolution. Paris and Barcelona in 1871 were not very far from doing so – and ideas have made headway since that time. Progress permits us to see above all, that an isolated town, proclaiming the Commune, would have great difficulty to subsist. The experiment ought, therefore, to be made on a territory – eg, one of the Western States, Idaho or Ohio – as American Socialists suggest, and they are right. On a sufficiently large territory, not within the bounds of a single town we must someday begin to put in practice the Communism of the future. We have so often demonstrated that State Communism is impossible, that it is useless to dwell on this subject. A proof of this, furthermore, lies in the fad that the believers in the State, the upholders of a Socialist State do not themselves believe in State Communism. A portion of them occupy themselves with the conquest of a share of the power in the State of today – the bourgeois State – and do not trouble themselves at all to explain that their idea of a Socialist State is different from a system of State capitalism under which everybody would be a functionary of the State. If we tell them that it is this they aim at, they are annoyed; yet they do not explain what other system of society they wish to establish. As they do not believe in the possibility of a social revolution in the near future, their aim is to become part of the government in the bourgeois State of today and they leave it to the future to decide where this will end. As to those who have tried to sketch the outlines of a future Socialist State, they met our criticism by asserting that all they want are bureaus of statistics. But this is mere juggling with words. Besides, it is averred today that the only statistics of value are those recorded by each individual himself, giving age, occupation, social position, or the lists of what he sold or bought, produced and consumed. The questions to be put are usually of voluntary elaboration (by scientists, statistical societies), and the work of statistical bureaus consists today in Distributing the questions, in arranging and mechanically summing up the replies. To reduce the State, the governments to this function and to say that, by “government”, only this will be understood, means nothing else (if said sincerely) but an honourable retreat. And me must indeed admit that the Jacobins of thirty years ago have immensely gone back from their ideals of dictatorship and Socialist centralisation. No one would dare to say today that the production or consumption of potatoes or rice must be regulated by the parliament of the German People’s State (Volksstaat) at Berlin. These insipid things are no longer said. The Communist state is an Utopia given up already by its own adherents and it is time to proceed further. A far more important question to be examined, indeed, is this: whether Anarchist or Free Communism does not also imply a diminution of individual freedom? Economists represented the enforced contract (under the threat of hunger) between master and workingman as a state of freedom. Politicians, again, so called the present state of the citizen who has become a serf and a taxpayer of the State. The most advanced moralists, like Mill and his numerous disciples, defined liberty as the right to do everything with the exception of encroachments on the equal liberty of all others. Apart from the fact that the word “right” is a very confused term handed down from past ages, meaning nothing at all or too much, the definition of Mill enabled the philosopher Spencer, numerous authors and even some Individualist Anarchists to reconstruct tribunals and legal punishments, even to the penalty of death – that is, to reintroduce, necessarily, in the end the State itself which they had admirably criticised themselves. The idea of free will is also hidden behind all these reasonings. The last reflection implies the fear of punishment. In the first three instances this man has to face only himself, his habit of loyalty, his sympathies. And there lies all the difference. We say that a man forced to reason that he must give up such and such an engagement from fear of punishment, is not a free man. And we affirm that humanity can and must free itself from the fear of punishment, and that it can constitute an Anarchist society in which the fear of punishment and even the unwillingness to be blamed shall disappear. Towards this ideal we march. But we know that we can free ourselves neither from our habit of loyalty (keeping our word) nor from our sympathies (fear of giving pain to those whom we love and whom we do not wish to afflict on or even to disappoint). In this last respect man is never free. Crusoe, on his island, was not free. The moment he began to construct his ship, to cultivate his garden or to lay in provisions for the winter, he was already captured, absorbed by his work. If he felt lazy and would have preferred to remain lying at ease in his cave, he hesitated for a moment and nevertheless went forth to his work. The moment he had the company of a dog, of two or three goats and, above all, after he had met with Friday, he was no longer absolutely free in the sense in which these words are sometimes used in discussions. He had obligations, he had to think of the interests of others, he was no longer the perfect individualist whom we are sometimes expected to see in him. The moment he has a wife or children, educated by himself or confided to others (society), the moment he has a domestic animal, or even only an orchard which requires to be watered at certain hours – from that moment he is no longer the “care for nothing,” the “egoist”, the individualist” who is sometimes represented as the type of a free man. Neither on Crusoe’s island, far less in society of whatever kind it be, does this type exist. Man takes, and will always take into consideration the interests of other men in proportion to the establishment of relations of mutual interest between them, and the more so the more these others affirm their own sentiments and desires. Thus we find no other definition of liberty than the following one: the possibility of action without being influenced in those actions by the fear of punishment by society (bodily constraint, the threat of hunger or even censure, except when it comes from a friend). Understanding liberty in this sense – and we doubt whether a larger and at the same time a more real definition of it can be found – we may say that Communism can diminish, even annihilate, all individual liberty and in many Communist communities this was attempted; but it can also enhance this liberty to its utmost limits. All depends on the fundamental ideas on which the association is based. It is not the form of an association which involves slavery; it is the ideas of individual liberty which we bring with us to an association which determine the more or less libertarian character of that association. This applies to all forms of association. Cohabitation of two individuals under the same roof may lead to the enslavement of one by the will of the other, as it may also lead to liberty for both. The same applies to the family or to the co-operation of two persons in gardening or in bringing out a paper. The same with regard to large or small associations, to each social institution. Thus, in the tenth, eleventh and twelfth centuries, we find communes of equals, men equally free – and four centuries later we see the same commune calling for the dictatorship of a priest. Judges and laws had remained; the idea of the Roman law, of the State had become dominant, whilst those of freedom, of settling disputes by arbitration and of applying federalism to its fullest extent had disappeared; hence arose slavery. Well, of all institutions or forms of social organisation that have been tried until this day, Communism is the one which guarantees the greatest amount of individual liberty – provided that the idea that begets the community be Liberty, Anarchy. Communism is capable of assuming all forms of freedom or of oppression which other institutions are unable to do. It may produce a monastery where all implicitly obey the orders of their superior, and it may produce an absolutely free organisation, leaving his full freedom to the individual, existing only as long as the associates wish to remain together, imposing nothing on anybody, being anxious rather to defend, enlarge, extend in all directions the liberty of the individual. Communism may be authoritarian (in which case the community will soon decay) or it may be Anarchist. The State, on the contrary, cannot be this. It is authoritarian or it ceases to be the State. Communism guarantees economic freedom better than any other form of association, because it can guarantee wellbeing, even luxury, in return for a few hours of work instead of a day’s work. Now, to give ten or eleven hours of leisure per day out of the sixteen during which we lead a conscious life (sleeping eight hours), means to enlarge individual liberty to a point which for thousands of years has been one of the ideals of humanity. This can be done today in a Communist society man can dispose of at least ten hours of leisure. This means emancipation from one of the heaviest burdens of slavery on man. It is an increase of liberty. To recognise all men as equal and to renounce government of man by man is another increase of individual liberty in a degree which no other form of association has ever admitted even as a dream. It becomes possible only after the first step has been taken: when man has his means of existence guaranteed and is not forced to sell his muscle and his brain to those who condescend to exploit him. Lastly, to recognise a variety of occupations as the basis of all progress and to organise in such a way that man may be absolutely free during his leisure time, whilst he may also vary his work, a change for which his early education and instruction will have prepared him – this can easily be put in practice in a Communist society – this, again, means the emancipation of the individual, who will find doors open in every direction for his complete development. As for the rest, all depends upon the ideas on which the community is founded. We know a religious community in which members who felt unhappy, and showed signs of this on their faces, used to be addressed by a “brother”: “You are sad. Nevertheless, put on a happy look, otherwise you will afflict our brethren and sisters.” And we know of communities of seven members, one of whom moved the nomination of four committees: gardening, ways and means, housekeeping, and exportation, with absolute rights for the chairman of each committee. There certainly existed communities founded or invaded by “criminals of authority” (a special type recommended to the attention of Mr. Lombrose) and quite a number of communities were founded by mad upholders of the absorption of the individual by society. But these men were not the product of Communism, but of Christianity (eminently authoritarian in its essence) and of Roman law, the State. The fundamental idea of these men who hold that society cannot exist without police and judges, the idea of the State, is a permanent danger to all liberty, and not the fundamental idea of Communism – which consists in consuming and producing without calculating the exact share of each individual. This idea, on the contrary, is an idea of freedom, of emancipation. They were modelled on the form of the patriarchal family instead of having for an aim the fullest possible emancipation of the individual. Communism, being an eminently economic institution, does not in any way prejudice the amount of liberty guaranteed to the individual, the initiator, the rebel against crystallising customs. It may be authoritarian, which necessarily leads to the death of the community, and it may be libertarian, which in the twelfth century even under the partial communism of the young cities of that age, led to the creation of a young civilisation full of vigour, a new springtide of Europe. The only durable form of Communism, however, is one under which, seeing the close contact between fellow men it brings about, every effort would be made to extend the liberty of the individual in all directions. Under such conditions, under the influence of this idea, the liberty of the individual, increased already by the amount of leisure secured to him, will be curtailed in no other way than occurs today by municipal gas, the house to house delivery of food by great stores, modern hotels, or by the fact that during working hours we work side by side with thousands of fellow labourers. With Anarchy as an aim and as a means, Communism becomes possible. Without it, it necessarily becomes slavery and cannot exist. Online Version: Peter Kropotkin Reference Archive (marxists.org) 2001; editorial changes made to structure the document in 4 sections. The original does not have any section breaks nor section headers, these have been introduced to make reading/referencing the document easier.